CaseFox (a SaaS) is an easy to understand and learn Web-based timekeeping and billing software. 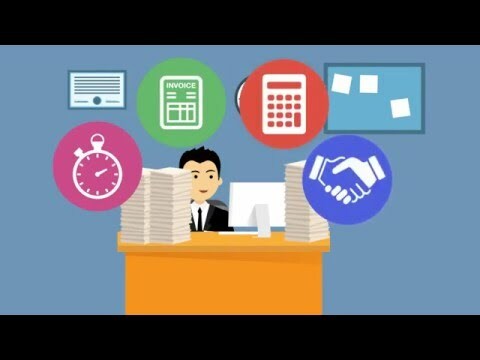 CaseFox offers a simplified approach to handling many routine (yet important) time tracking, time based invoicing/billing, task management, case management and trust accounting tasks. CaseFox can be used by attorneys, CPAs, Web designers, consultants, expert witnesses, contract attorneys, and other hourly billing professionals. CaseFox offers multi-currency support and incorporates useful features for professionals that bill their clients for services. Entered time tracking data, trust fund transactions, clients and case list can be exported in Microsoft Excel format. Role based user management would allow you to control your staff's and contract attorneys' access to cases and to configure different hourly rates for each case (matter). Supports hourly, cap/fixed fees billing. I have been using Casefox for approximately 3 years now. I have had no major issues with the software that wasn't fixable by Casefox immediately. The price is more than reasonable for all the flexibility you get in this software. It tracks everything. I also love the capabilities of making the invoices my own and tracking my own file numbers plus entering all trust funds right into Casefox. It helps me with my daily run of my business in the legal field and I highly recommend this software to any small business. The best part is going on vacation and having the ability to login from any wifi free establishment with ease. Thank you Casefox for making my business run smoothly. Your Customer Support is awesome and very kind. They have always been able to help me and it's not because your software has malfunctioned; if I have a question on how to do something within Casefox and do not understand the help tutorial; you are there to assist. I appreciate that!The functionality of the software and I can access it anywhere at any time with a wifi connection. I am also able to format the things that I need; file numbers, backdating, and especially being able to track with my calendar is great. The functionality of the software and I can access it anywhere at any time with a wifi connection. I am also able to format the things that I need; file numbers, backdating, and especially being able to track with my calendar is great. I wish you could upload all of my emails and documents to casefox to keep all files together; I have to have a separate drive for that (Google Drive), it isn't making me leave the software but it would be helpful if your software could have downloadable capabilities of all file types; pdf especially. I would like to able to open the client's file and all the documentation that is associated with that client. I would also like the capability to streamline the Invoice fields to the names of what I know. For example Government #: we don't have a government number except for hst/gst and that has to be at the end of the invoice anyway. But I would love to change the field to Court Location. Easy way to keep track of time and bill our clients.Easy to use. Easy to set up. Customer support very responsive. If something does not work the way we want it to, we contact them, and they make it happen. Easy to use. Easy to set up. Customer support very responsive. If something does not work the way we want it to, we contact them, and they make it happen. Does not automatically generate reminder bills in matters with no recent activity. The available reports do not provide all of the information I want it and I do not have the skill to customize the reports. When I first started out as a solo practitioner, CaseFox was a huge help in quickly and easily tracking my time, billing my clients and managing my accounts. The time tracking & billing features are seamless and very intuitive to use. The time tracking & billing features are seamless and very intuitive to use. It would be nice if the ledger "learned" what certain recurring payments I input are, so that they are categorized properly in the future. overall casefox is very good and easy to use billing software.we can try it in free plan.casefox is easy to use and good billing software.we not need to install and setup casefox software on our system because its maintain on cloud so we and client and access casefox software on any platform.casefox can manage all client billing rates ,document, and phone calls.casefox integrate with some famous tools like google drive, dropbox , office 365 and paypal. casefox is easy to use and good billing software.we not need to install and setup casefox software on our system because its maintain on cloud so we and client and access casefox software on any platform.casefox can manage all client billing rates ,document, and phone calls.casefox integrate with some famous tools like google drive, dropbox , office 365 and paypal. sometimes its difficult to transfer billing entry from one case to another.casefox user interface design can be more beatiful. A discount is offered on annual billing. CaseFox offers a rich feature set at a very affordable price. The user interface is intuitive and easy to use. Users are not forced to jump from screen to screen for completing routine timekeeping and invoicing tasks. Below are some frequently asked questions for CaseFox. Q. What type of pricing plans does CaseFox offer? Q. Who are the typical users of CaseFox? Q. What languages does CaseFox support? Q. Does CaseFox support mobile devices? Q. Does CaseFox offer an API? Yes, CaseFox has an API available for use. Q. What other apps does CaseFox integrate with? Q. What level of support does CaseFox offer? Q. Which apps is CaseFox compared to most often?